This church needs to file a lawsuit against the City of Bloomington for discrimination. Government can’t pick and choose who they want to fine or put out of business. Any lawyers willing to help them out? The City has unlimited funds – or at least they think they do! Meanwhile, nobody is helping them out. Evidently the inspectors don’t treat everyone equally. Below are pics from today on the west side of Bloomington. People are living outside, trash is everywhere, and hazardous buildings are allowed to stay – one for decades since trees are growing inside the shell. Another looks fire-damaged. The City is torturing a church trying to help people while ignoring violations really close to the West Gateway to Bloomington. Locked vehicles have been broken into in this area. 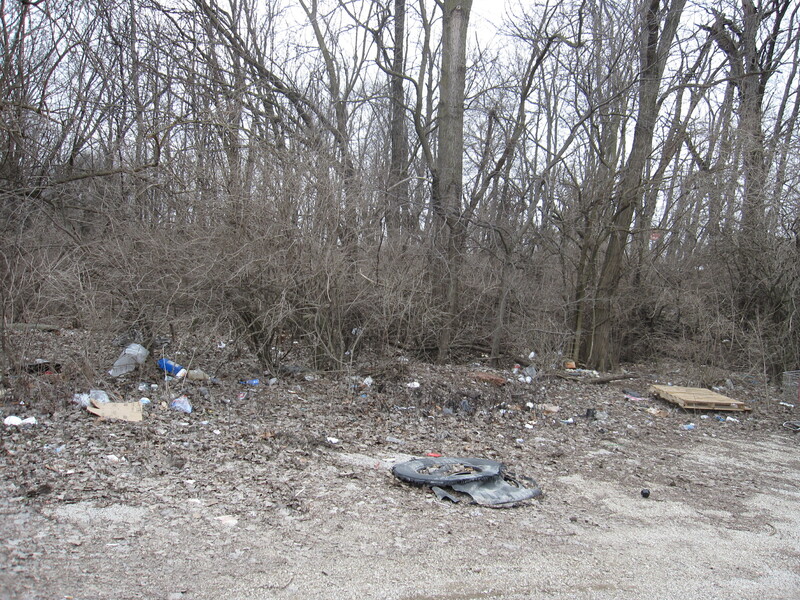 Trash is everywhere, it really says Welcome To Bloomington! Justice isn’t close to equal! Posted in BloNo, Bloomington, Local, Progressives, Renner.Tagged City of Bloomignton, condemned buildings, Homeless, trash, West Bloomington. 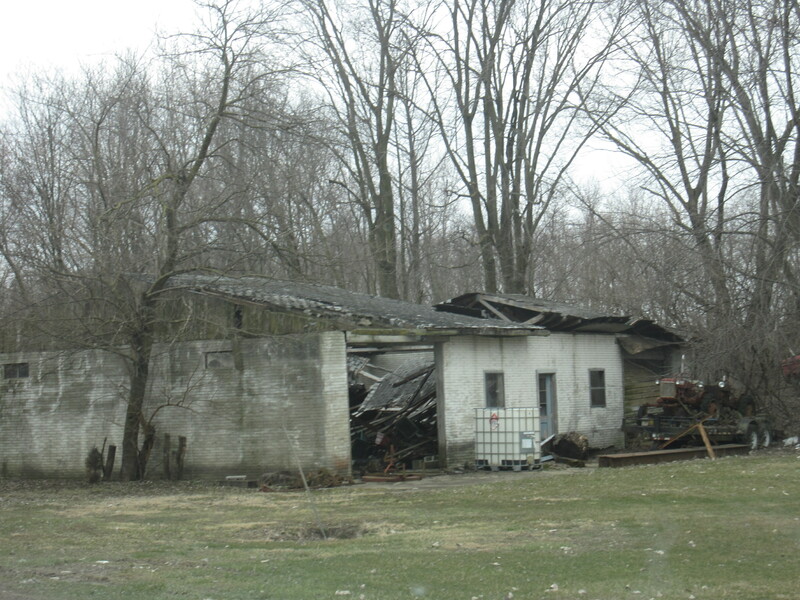 It’s funny they are handing out fines when there own city owned structures are in bad shape. 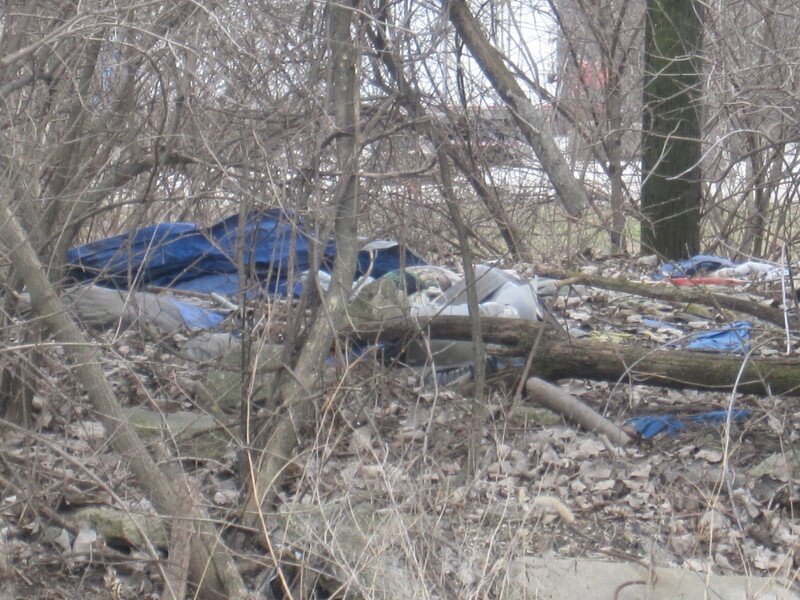 These are photos of the Homeless Neighborhood aka Tent City. 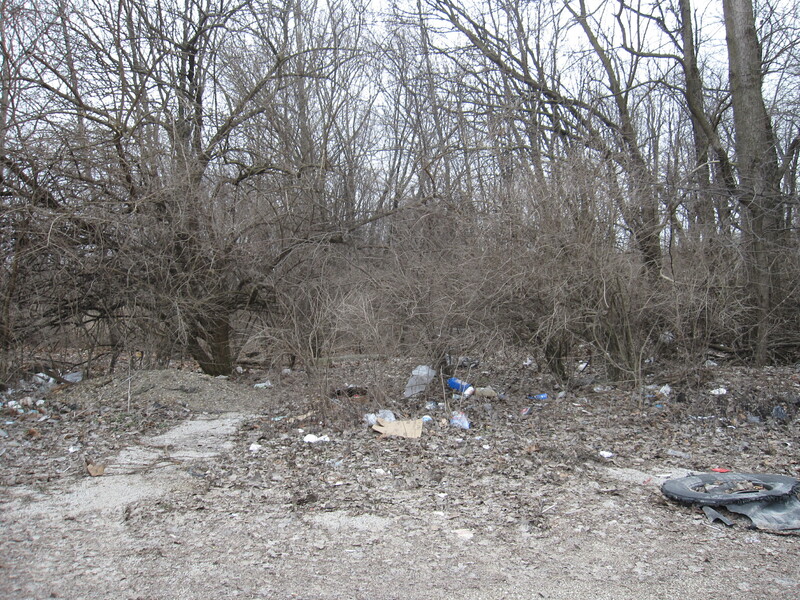 The Bloomington officials chased the homeless out but didn’t clean up or have the land owner do it. 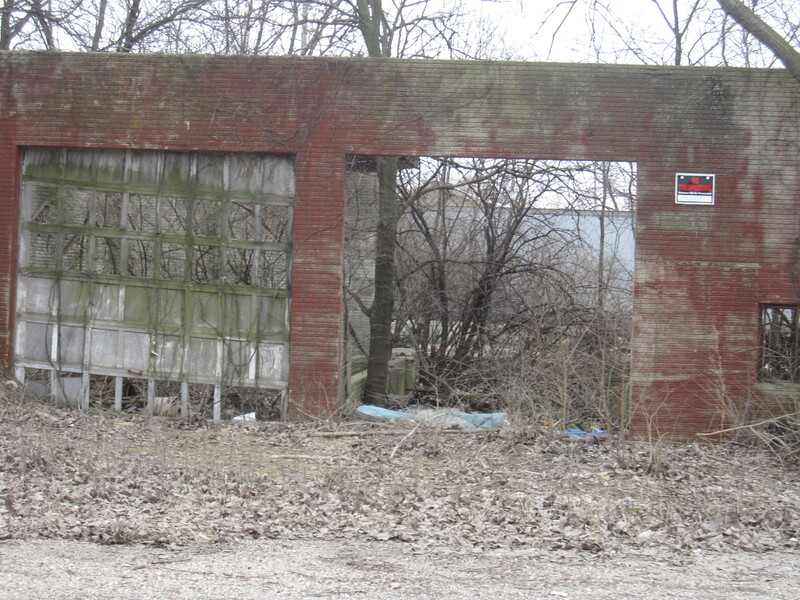 Code enforcement is not directed at land owners/developers–only apartment owners. They are still there. 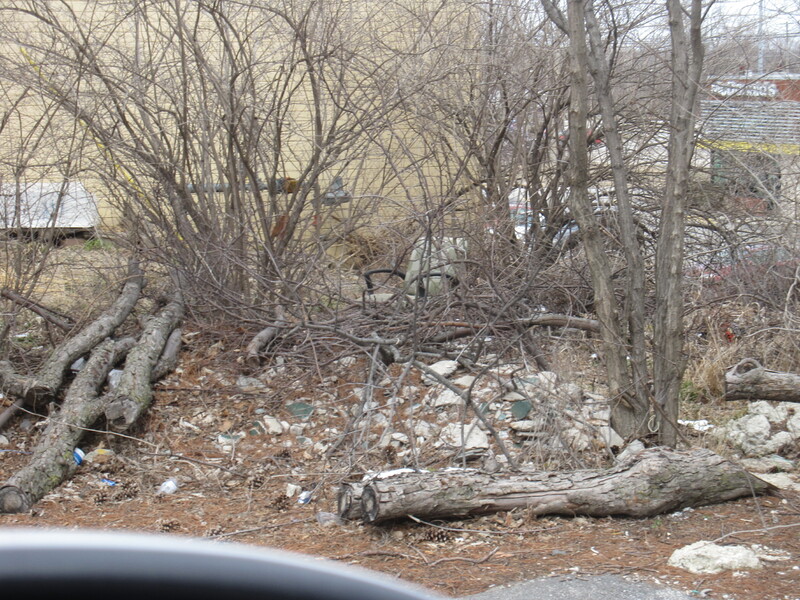 A lot of trash has accumulated on private property, the City does nothing. 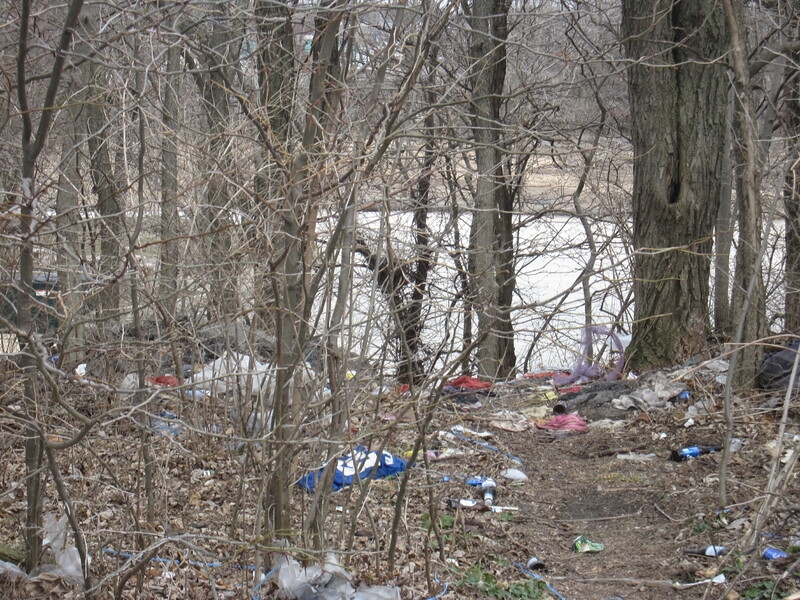 Maybe the bleeding hearts that are going to protest at City Hall to make this a Welcoming City should go out to that property, clean it up and make sure those residents are welcomed and cared for. Aren’t the homeless citizens? Don’t the homeless deserve advocacy? Hence the church trying to help! Bleeding hearts only want to feel good about themselves. My comment was meant to be a jab at the protestors. Signs and noise don’t help anyone. Maybe the Church’s location in the prized downtown Bloomington is really the problem. Perhaps Tari and Jan don’t want Christians hanging out in their Kingdom. Maybe the city wants to buy that property, give it a TIF, and a Community Development Block Grant so the elite have more places to spend their Money. I hear it does have problems, but it looks like downtown is all that matters. The west side makes people want to flee! Bingo was thinking the same myself – they have targeted them. I have given some money and stuff to this place in the past – I think they are legit and truly are trying to help people who have used up all of their other life lines/resources, or never had any and need help. I’ve talked to people who run the place and some who use the facility – and you both are right – Tarry’s little fiefdom has been invaded by undesirables and he must have them removed one way or another. Bingo. That’s exactly what’s going on here. Tari and the old hens in Downtown don’t want this center in their beloved fiefdom. They can’t be seen as anti-homeless or directly attacking anything religious, so they are using code enforcement to target these and other enemies. They are not the “right fit”. What’s interesting to me is this appears to be an organization on a shoestring budget doing good by the most vulnerable in the community, yet the City doesn’t cut them a check as they do with other non-profits with nice offices, bloated salaries and admin. costs. I wish some people reading here would help them out. It doesn’t look like they are. $5 bucks folks? Don’t forget to take a picture of the beautiful landscaping around the Law & Justice Center, downtown Bloomington. 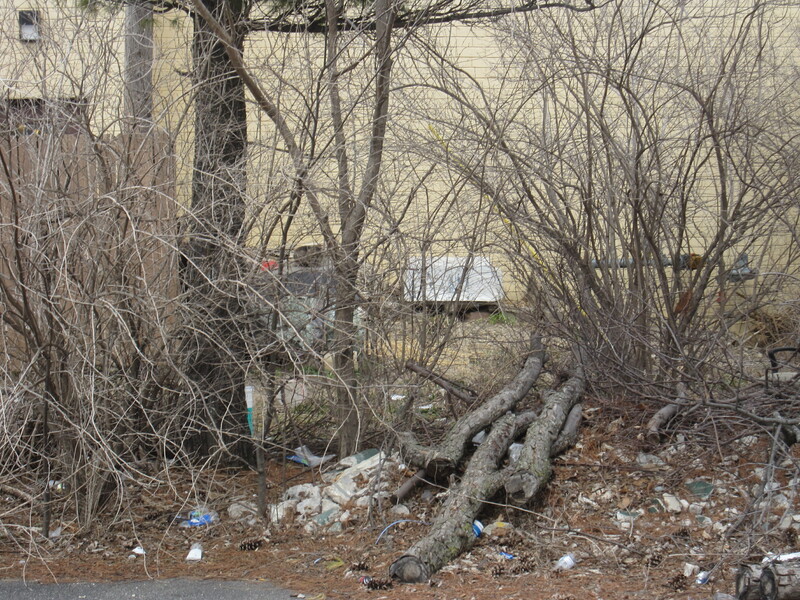 The place looks like a trash bin with NO care to pick up the trash around the Building or adjacent green space. That area is targeted by the Downtown Task Force to be a outside community gathering place for concerts. Bums cant pay fines. No income potential. Poor revenue stream. Helping and advocating for the homeless is no longer a “hip” issue for the social work types! Their focus is on illegal immigrants. I spit on the lunacy of liberals and social workers! Another problem for Abundant Life is going to be the exorbitant costs that the “city approved” contractors will charge for the repairs. Those guys skyrocket the price when they know it is a MUST be done situation and they won’t do something like patch a wall, they will all insist that the entire wall must be replaced – As far as I know, no other craftsman/handyman/carpenter etc can even get a permit to do the work if there is a city code violation sited. – Just another insidious little horror not everyone knows about in this town. They could get someone or someone’s brother to do the work for free, just cost of materials or materials and a low cost but oh no, the city won’t be having any of THAT. Abundant Life to conservative/traditionalist/anti deviance organizations. Much of what passes for city government actions in Bloomington today are barely hidden (or downright obvious) political persecution. Stalinism lives in Bloomington!–and YOU may be the next victim. If the Abundant Life church had burned…or had a carbon monoxide leak killing people, you’d be asking “where were the city inspectors we’re paying for?” No one can win with you. Previous Post Bloomington – FOIA please! Next Post Where is the Prosecutor?